Next I talked with Luis, Stephanie and Armando, levels 21, 11 and 14. Luis had played every day since the game was released and had an Arcanine with a CP of 2325. They had played in Folsom and in El Dorado Hills the day before (about 20 miles from Sacramento) and they lived in Antelope (15 miles from Sacramento)! I asked if they thought the game had legs, staying power beyond a few weeks of fun, and they thought it could use PVP battling outside of gym battles. Luis suggested that the battles could be waged with Pokemon coins or stardust. Michael was there with his friend Cameron, age 18. Michael was one of the few people there who was not playing the game. Cameron was level 19 and was excited to reach level 20 because "Everything gets better at 20". Cameron was skeptical about the rumors that surrounded Pokemon Go, such as the rumor that fire Pokemon are found near gas stations, and ghost Pokemon are found in graveyards. His strongest Pokemon was a CP 1499 Arcanine. Next I met Michelle, a level 16 player. She was thrilled to see so many people outside and active on a Tuesday night. 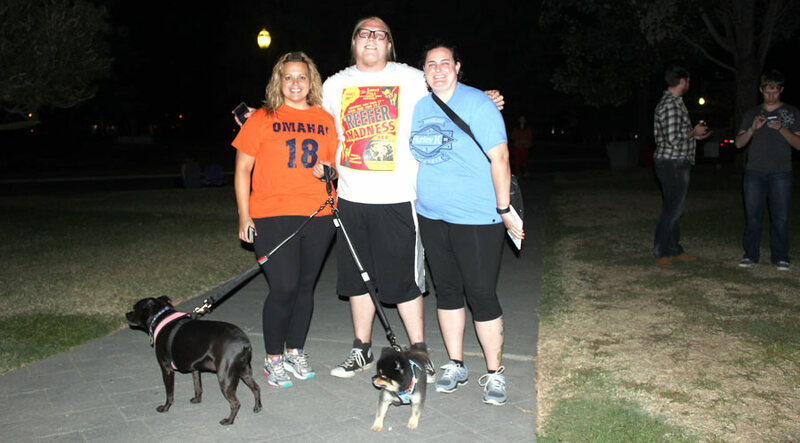 She'd lived in Sacramento for 10 years and had never before this night been to Capitol Park! She had a cp 1006 Flareon. her friend Kim clued me in that there were 500 people at this park on Saturday. She was level 16 with a CP 1376 Arcanine. She had defeated a gym at Sac State University, and was eager to beat the gym here as well. Joseph was level 19, with a cp 1392 Arcanine. He had been playing since the first day (July 6th). He was capturing a Geodude while I talked with him. Kim and Michelle let me know I should check out Sutter Hospital in midtown, as the park and hospital were circled by nurses playing Pokemon GO outside on their breaks. Shawn and Mark were also at the park, smoking and playing Pokemon GO. They agreed with me that this was the place to be. Shawn was level 14 with a 701 Vapereon, and Mark was level 15 with an 1142 Vapereon. They were both team Instinct,which Mark described as "The Sweden of the game." Shawn wanted a Charzard, and admitted that the game had been tempting him since he was a child, as he has started watching the show when he was age 3.